Remove incentives for renewable energy. Leave climate change out of the argument entirely. Eviscerate the Department of Energy's renewable programs. Replace science-based policy with oil-buddy cronyism and a disrespect for intelligence. Hell, make it illegal to deploy renewables, like the lawmakers are trying to do in Wyoming. Profit has no political allegiance, and renewables are already winning on sheer economic advantage -- today. GTM Research suggests that occasional 2-cent-per-kilowatt-hour bids are not out of the question in the coming year and utility fixed-tilt PV system turnkey pricing will land at less than $1.00 per watt in 2017. Solar is cheap and getting cheaper. The headwinds of manufacturing overcapacity, as well as the new U.S. government's animus toward renewables, has already been baked into the stock price and guidance numbers of the solar industry. In the meantime, financiers are actively investing in solar projects, business processes and new solar companies. Little has slowed down on this front since election day. Here are the more recent deals. Maybe this is the type of financial facility that can finally jumpstart the stubborn commercial solar market. CleanCapital has partnered with Generate Capital to drive the acquisition of $300 million of operating clean energy assets -- with "a near-term focus on distributed solar." The idea is to "bring liquidity to the distributed solar market and provide project owners access to permanent, flexible capital and exit opportunities in an otherwise limited market," according to the companies. Jon Powers, co-founder and chairman of CleanCapital, told GTM that first movers developing distributed generation projects over the last decade "have limited development capital to advance their development pipeline. Opportunities to sell distributed generation assets in this fragmented marketplace remain limited and inefficient." "This is about making it a simple and efficient process for both sellers of projects and investors," said Powers. Kevin Johnson, co-founder and CCO, said the firm allows "investors -- including institutional investors, family offices and funds -- to easily invest in secure and diversified clean energy projects, and simultaneously provides sponsors an easy way to exit clean energy assets." The focus is on operating assets. Powers said, "If you're an institutional investor, the due diligence is hard to wrestle with. CleanCapital does that due diligence on C&I projects in a much more efficient way." The firm's platform is meant to identify, screen and manage clean energy projects for investors, until now limited to "a handful of institutional investors, banks, private equity firms and tax equity investors." The solar financing startup is something like a YieldCo, but as GTM reported, it's "more akin to the fintech firms that are making it easier for a broader swath of investors to invest in other markets, like real estate. CleanCapital expects its platform will allow investors to evaluate projects in the pipeline and reduce transactional barriers for investors to put money into solar projects." Powers said it was similar to a service like Fundrise, a technology platform for investing in commercial real estate. CleanCapital is not the only startup taking a fintech approach to solar financing. T-Rex Group is another firm that wants to make renewable financing more transparent and efficient. T-Rex provides enterprise valuation and risk analysis tools for solar projects for both developers and investors. 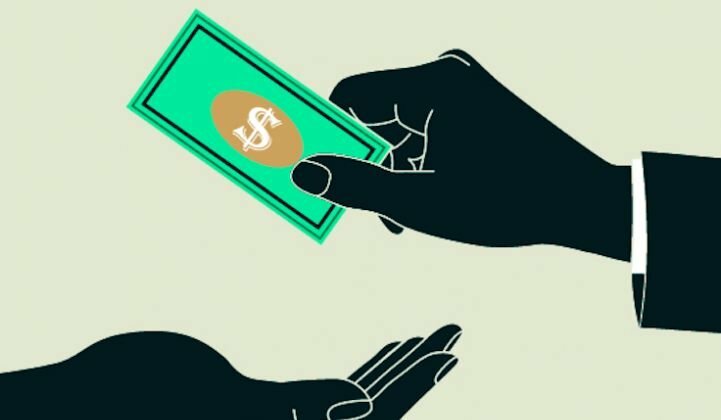 Open Energy is another company developing simpler financing tools for commercial solar that are modeled after consumer debt products. Other funds such as Wunder Capital are also focused on bringing in a more diverse set of investors, particularly smaller ones with as little as $1,000 to invest. GTM Research Solar Analyst Nicole Litvak and Generate Capital's Jigar Shah co-authored an article for GTM in which they wrote, "Despite all of the current market challenges, it’s clear that small commercial solar is too big of a market for anyone to pass up. To get the right projects into the hands of the investors who want them, [small and medium-sized business] financiers have to shift from being opportunistic to becoming true service providers." SolarCity received a preliminary rating on three classes of notes from bond rating agency Kroll for a total of $145,000,000 in a residential distributed solar securitization. This is SolarCity's fifth securitization, and it's secured by a pool of 9,609 solar loans distributed across 14 states. The weighted average FICO score of the "obligors" is 728. According to Kroll, "The transaction benefits from credit enhancement in the form of over-collateralization, excess cash flow, an interest reserve account and an inverter replacement reserve account." According to Credit Suisse, "Nearly 4 gigawatts of wind and solar projects and project pipelines traded hands [last] week." According to reports, Spruce Finance, a financier of home solar and energy-efficiency measures, raised enough tax equity and debt to drive $445 million in residential photovoltaic power purchase agreements and leases in 2017. Spruce also closed a $105 million "back leverage facility against existing projects" led by Investec and Silicon Valley Bank. 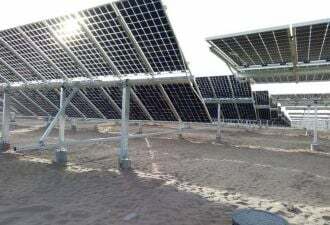 SolarReserve won a $78 million tax equity investment from Capital One for its 110-megawatt Crescent Dunes Project, a utility-scale concentrated solar plant employing molten salt energy storage, enabling 24-hour operation. The facility generates 110 megawatts of electricity plus 1,100 megawatt-hours of energy storage to NV Energy under a 25-year power-purchase agreement, according to the company. SolarReserve, along with investors ACS Cobra and Santander, will maintain an ownership stake. In 2015, SolarReserve won approval to build a 260-megawatt tower project with storage in Chile. Schneider Electric, French energy management and automation giant, acquired Renewable Choice Energy, a C&I renewable project developer and renewable energy advisory platform. Details of the transaction were not disclosed. Renewable Choice's clients include 160 of the Fortune 500 companies. Schneider acquired Summit Energy Services, a provider of outsourced energy procurement and sustainability services to C&I and MUSH markets, in 2011. D.light, furnishing and financing off-grid solar lighting products, added $10.5 million in funding from Norfund, Beyond the Grid, and Shell Foundation. The company claims to sell hundreds of thousands of units per month with a "commanding market share in emerging markets" and a focus on Africa and Asia. The company has raised more than $40 million over the last four months. As GTM has reported, solar-powered lanterns equipped with LEDs have eliminated more than 20 million traditional lighting sources, primarily kerosene lanterns. T.J. Rodgers, founder of Cypress Semiconductor, and John Doerr, chairman of Kleiner Perkins, have emerged as white-knight saviors for troubled solar microinverter firm Enphase. The Silicon Valley icons are investing $10 million in the firm, and Rodgers is joining the board of directors. It's a bit of an unusual move for this odd couple. Kleiner was an investor in Enphase under the normal order of things, back when it was a startup. Doerr has invested in some of venture capital's most famous successes (Google, Amazon, Sun, Intuit), as well as in some less than successful efforts (GO Corporation, MyCFO, Segway). He spearheaded KPCB's investment efforts in greentech, including funding Silver Spring Networks, Fisker Automotive, Bloom Energy, Opower and Proterra. T.J. Rodgers is the founder of Cypress Semiconductor, a force in Silicon Valley, an early equity investor in SunPower, and a vintner. Silicon Ranch, a developer, owner and operator of solar energy plants, closed on an equity round of more than $55 million led by Partners Group, and joined by Silicon Ranch shareholders including the Greystone Infrastructure Fund. Silicon Ranch develops-to-own all of its projects and attracted more than $165 million of new equity capital last year. Silicon Ranch built the first large-scale solar projects in Tennessee, Georgia, Arkansas and Mississippi.